Scusate, ma – anche se è già stato pubblicato su FlowingData – non posso resistere. E poi non c’è 2 senza 3. 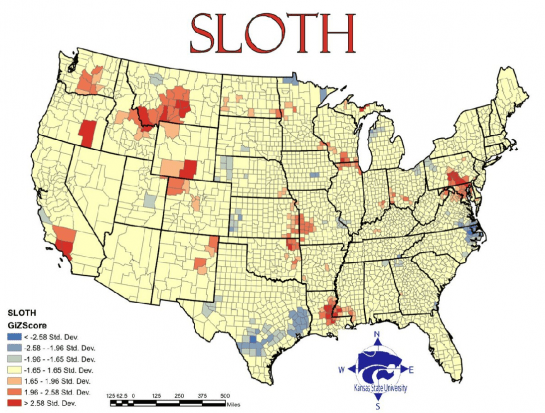 Geographers from Kansas State University map the spatial distribution of the seven deadly sins in the United States. These types of maps are always kind of iffy as they draw from data from various sources gathered with different methods and usually use some kind of researcher-defined metric. Still interesting though… right?